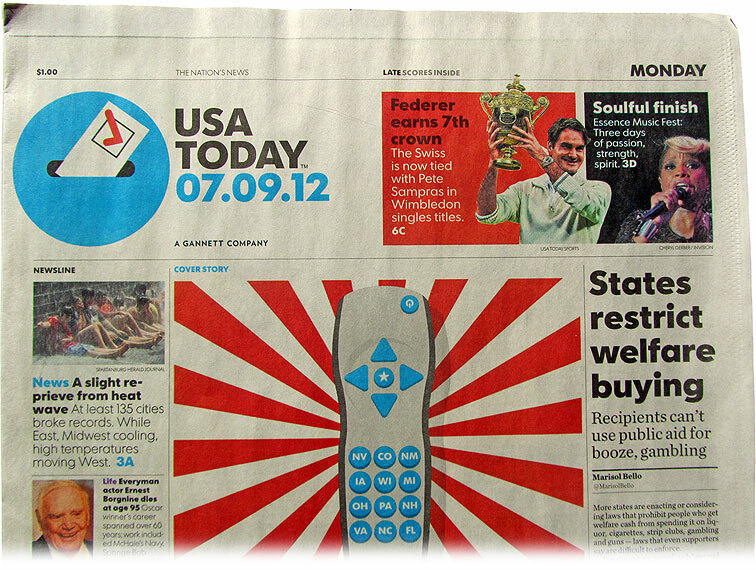 A custom version of Futura for USA Today, one of the largest American daily national newspapers. The fonts were produced in close collaboration with the designers at Wolff Olins NY, who are responsible for the redesign of the newspaper. 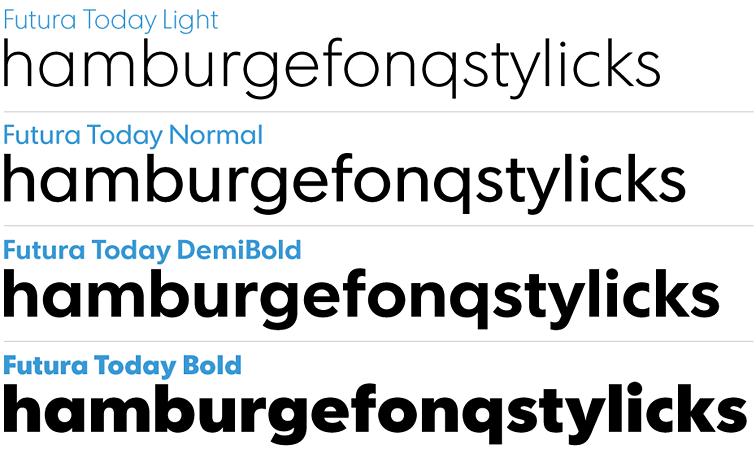 Futura Today distinguishes itself by featuring shorter ascenders and descenders, a number of redesigned shapes (lowercase j, t and u are the most obvious changes) and a dramatic improvement in quality of contours. All glyphs have been completely redrawn. The spacing and kerning has been built up from scratch too, to insure the highest quality and consistency. In the newspaper, Futura Today is used in conjunction with Chronicle from Hoefler & Frere-Jones.